Another of the 'Short' cigars being produced by Habanos S.A. for today's smokers. Big diameter (52, like the Edmundo), but in a small body which allows the smoker to jump directly into the power of the cigar. It is rapid and you will need a trained palate to pick up on the flavors through the quickly increasing power. An ideal cigar to have a to work for a quick break. All the complexity of a Classic Cuban in half the time. The Petit Edmundo is a very generous and flavorful cigar, a medium strength smoke to be smoked slowly in regular puffs to avoid heating up. A fat shorty cigar for a quick load of Cuban taste: sweet, earth and nuts. Experienced smokers may pick up on vegetal and herbal notes. Small in length, big and bold in intensity. The end can come quickly, so watch out! This is by far the best cigar I have enjoyed in my life! 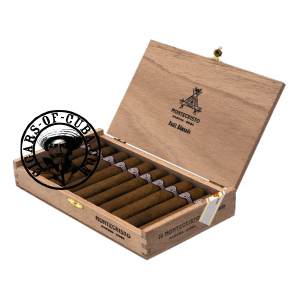 This precious gem has a smooth opening, and in all phases is a great smoke. I would recommend this beautiful cigar to anyone, either a first timer, or seasoned veteran smoker.